Beautiful handpainted ornament celebrates the season. Love and joy come to you is handpainted around a red door. A cute gift for a friend or neighbor, or for someone in a new home. 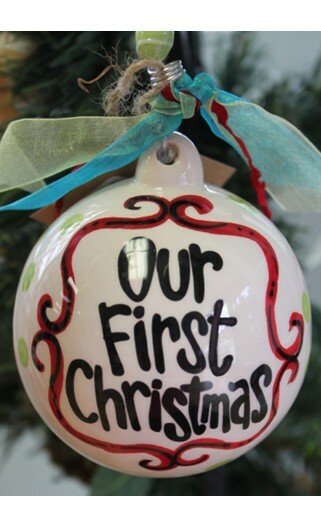 Personalized ornaments create a memory that we relive every your as we decorate our tree.